Expectations were lofty before the season even began for Crean and Indiana basketball. They were the preseason #1 team in the country (and my preseason #1 way back in April.) Making a run in March has been expected. For many, anything shy of hanging another banner inside Assembly Hall will be considered a disappointment. That wasn’t the case for Crean a decade ago. Despite the team’s regular season success, national ranking throughout most of the year, and Conference USA Championship, Marquette’s run in 2003 was a surprise. The Golden Eagles were upset by UAB in the opening round of the C-USA Tournament and weren’t picked by the talking head-experts of the college basketball world to make much of a run during March. However, the fourth-year head coach continued the climb of a Marquette program that was mired in mediocrity when he arrived. What stands out vividly for most fans is Dwyane Wade’s phenomenal performance in the Golden Eagles’ Elite 8 upset of top ranked Kentucky. Wade sparked Marquette with a stat-sheet stuffing 29 points, 11 rebounds, and 11 assists, becoming just the third player in NCAA Tournament history to record a triple double. He also had a filthy posterizing dunk on Wildcat big man Marquis Estill. Wade was certainly the catalyst of that club but the team got key contributions up and down their roster like all teams must do to keep advancing in the tourney. “It wasn’t just Travis Diener or Dwyane Wade or Robert Jackson, those were national memory moments, but I can remember all these other guys making plays,” Crean stated. You can easily envision an Indiana basketball role player like Jordan Hulls knocking down a big shot at some point of this tournament. That depth has been evident on Crean’s Indiana basketball team this season as well. While Player of the Year candidate Victor Oladipo and Cody Zeller garner much of the attention, there have been contributions across the board. Seniors Jordan Hulls and Christian Watford have knocked down timely outside shots all season and besides Oladipo’s dagger three at the end of IU’s second round victory against Temple, Watford’s blocked shot late in the game was perhaps a season saver. Freshman point guard Yogi Ferrell has shown tremendous poise throughout the season which is often times unusual for a young floor general. Will Sheehey is one of the top sixth men in the country while Remy Abell and Jeremy Hollowell have shown steady growth and will be relied upon to play valuable spot minutes while the starters need a rest. As Crean hopes to lead Indiana basketball to their first Final Four in more than a decade, it is somewhat ironic that the team who could potentially stand in Indiana’s path is Marquette. If the Hoosiers can solve the Syracuse 2-3 zone and Marquette upsets Miami, then Crean’s current team and his old squad will battle Saturday night with a trip to Atlanta on the line. As a Marquette alum who just so happened to graduate in 2003 and enjoyed the Final Four journey, I would LOVE to see just that. 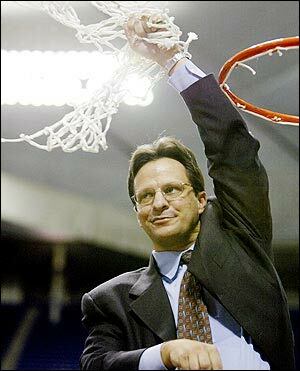 Regardless of what the outcome would be, the ten year anniversary would be extra special; either for Indiana basketball or Marquette. Not both though.